When you receive Jesus Christ as Lord, you are made righteousness (a state where you are in right stand with God). I have already covered this in the earlier posts. I urge you to read them before you go through this one. 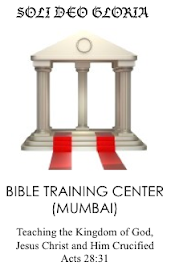 In this post I will teach you about the practical applications of righteousness in our daily life. Lets begin with Prayer. When Jesus Christ walked on the earth, what made him so different from everybody else was his righteousness. He was always conscious of his right standing with God and that is why, when he prayed, he did so with great confidence. Then they took away the stone from the place where the dead was laid. And Jesus lifted up his eyes, and said, Father I thank thee that thou hast heard me. Jesus thanks the father and says I know that you hear me always. Now, how many of us show such confidence in prayer? Jesus was fully confident that the Father always heard him. This is a lot different from the way the church prays today isn’t it? It surprises me when I hear Christians pray. I am not worthy Lord. I am sinner. I am nothing but dust and worm. Christians are so conscious of their sins when in-fact they should be conscious of their righteousness. And that is primarily the main reason why many Christians do not see the power of prayer in their lives. 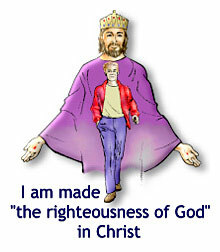 We are to be righteousness conscious. God has already promised us that when we receive Jesus Christ as Lord, he will forgive our iniquity and will remember our sin no more (Jeremiah 31:34). And He doesn’t stop there, he gives us his righteousness. The same righteousness that God has, is given to us. Today, I am holy just as God is holy. (2 Corinthians 5:21). If we are conscious of our righteousness (a state where we have right standing with God), then we can approach God with confidence. I will continue about prayer in the next post.